2007 was a test of Pak-China friendship when students of Laal Masjid abducted and took hostage Chinese working at a massage center in Islamabad allegedly for being involved in adultery. According to the students of Jamia Hafza the act of taking Chinese workers as hostage was a part of their campaign adultery started in March 2007 when they have taken a woman namely “Shameem” and her daughter in law for allegedly running a brothel and were released after they repented. 2 males and 3 females of Chinese Massage Center were released after two days through successful dialogues with Police. However, US, Indian and Western media portrayed this incident as a charge-sheet against China. US govt. strictly criticized China and her policies regarding human rights over this incident that in its own country China has pronounced harsh punishments and banned adultery while China has established such centers in her neighboring country. Over this Vice President of China demanded operation against Laal Masjid. After this whatever happened and the role played by Pakistani media is not a secret to anyone. International analysts divide Pakistan’s friendship with China in four stages i.e. From 1950 to 1965 when friendship was limited to diplomatic issues and supporting each other over international level. 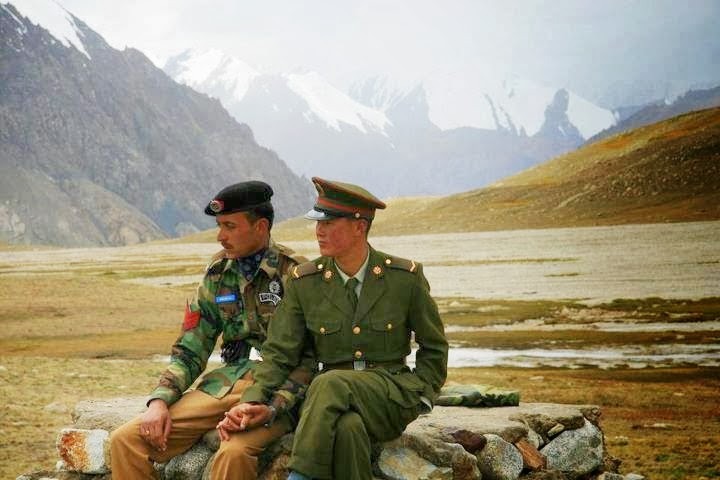 Pakistan supported China unconditionally in Tibet, Taiwan and disputes with India and China supported Pakistan over Kashmir dispute against India. From 1965 to 1979 in which many defense deals were signed; strategic alliance was established and construction of Karokaram Highway was completed for which hundreds of Chinese and Pakistanis laid down their lives. 1979 to 1999 when defense equipment and full support for nuclear technology was provided by China which helped Pakistan to minimize dependence over West. 4th stage is after 1999; in 1999 China provided nuclear power plant for production of electricity, production of Al-Khalid Tank MBT-2000 in 2001 through mutual cooperation of both countries considered to be one of the best tanks of the world, offer of China to develop Gwadar port in 2002 and signing of deal for development of Gwadar port in 2005 and completion of development work six months ahead of planned time are such examples of cooperation between both countries that have created concerns for many countries including USA and India. I have several times written that current wave of violence in Baluchistan started in 2002 after signing of deal between Pakistan and China for construction of Gwadar and arrival of Chinese engineers and workers for construction. 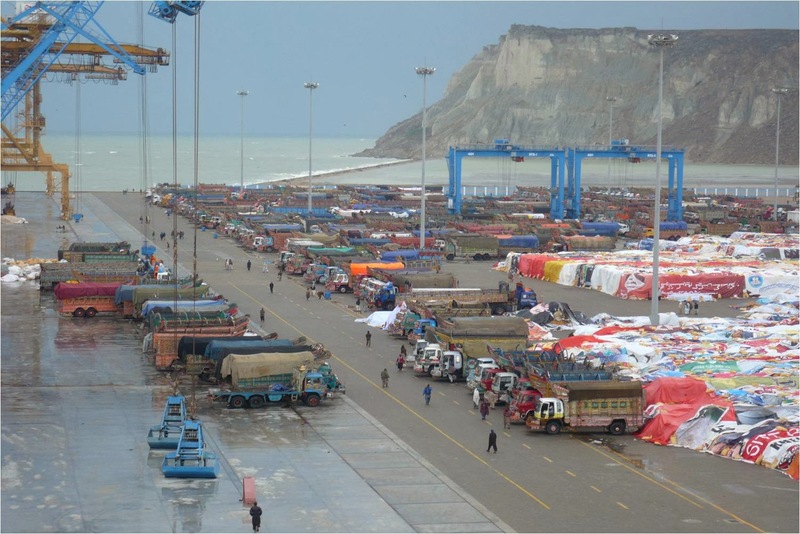 Initially this remained confined to protest statements that construction of Gwadar port is a conspiracy to make Baloch devoid of their rights, down grade their status to that of Red Indians and to capture resources of Baluchistan by Punjabi establishment; threats were issued of treason against Federation. When these threats had no effect murder of Chinese engineers along with attacks over military convoys, govt. installations, trains and gas transmission lines. When any militant trying to target Chinese was killed by security personnel deployed for security of Chinese guests; so-called independent Pakistani media also joined the chorus of international media against Pakistan govt. 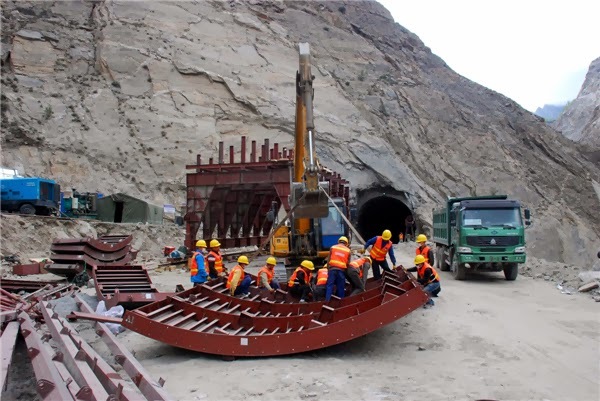 Remaining away from Pakistan’s internal politics Chinese kept working on the construction of Gwadar port and jolted the whole world by completing the project six months ahead of the projected time. How was this possible that anti-Pakistan power remain inactive over such an achievement which has opened new horizons for Pakistan’s economy? 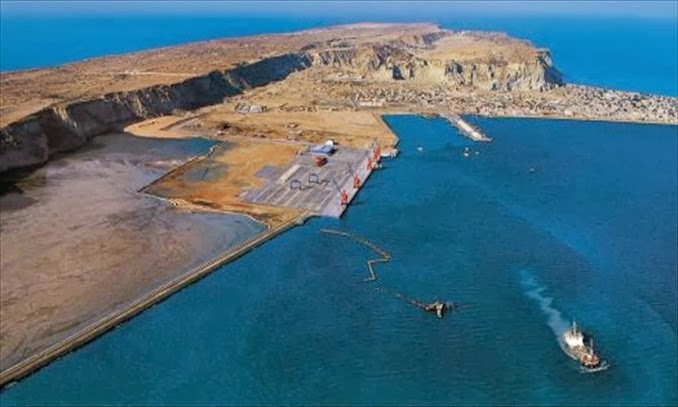 India and USA active against China also took completion of Gwadar port as a siren against their interests in the region and kept supporting Baloch militants considering it as easy solution for destruction of Pakistani economy. The result of this foreign support to Baloch insurgents is that now the activities of these terrorists have been spread to outside Baluchistan, Karachi in Sindh and Rojhan and Rahim Yar Khan in Punjab. But all these foreign terrorist activities have no impact on Sino-Pak friendship and joint plans of defense. The current example is the interest of KSA and other Arabic countries in JF-17 Thunder that are now being produced in Pakistan through the cooperation of China. The recent friendly gesture of China is the plan to construct nuclear power plant in Karachi estimated cost to be 6.5 billion and to be completed till 2019. A new wave of propaganda against Pak-China friendship has been observed as a reaction to this plan. 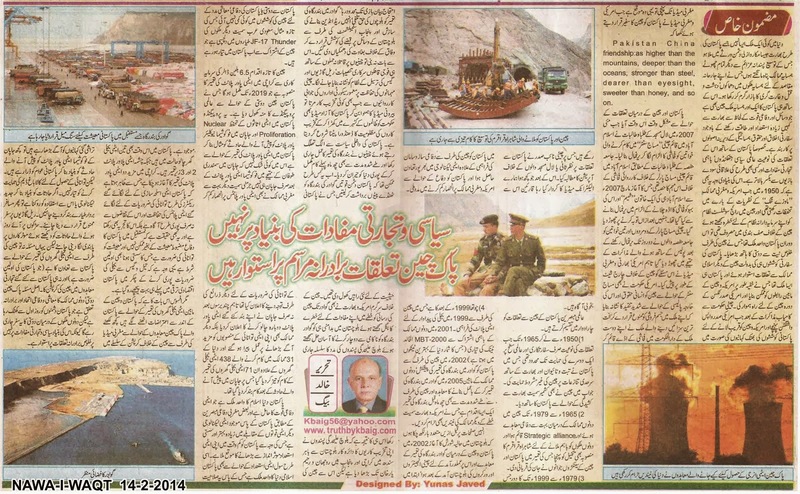 This propaganda is regarding security of Pakistan’s nuclear assets, nuclear proliferation and quoting example of Japan’s Fukushima power plant that was destroyed during Tsunami after which not only Japan but Germany and other countries have announced to minimize their dependence over nuclear power plants for production of electricity. 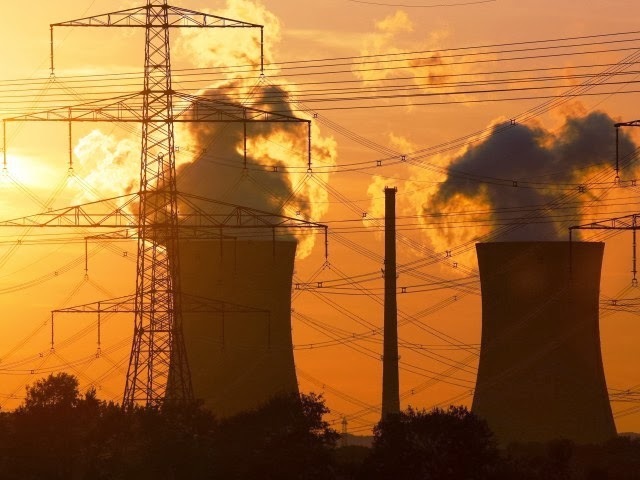 However, after few years not only Japan has announced to restart her shut-down nuclear power plants but other countries have also started fulfilling their plans to meet energy requirements. Not only 438 nuclear power plants working in 31 countries are running but construction of 71 nuclear power plants have also been restarted that was stopped after Japan’s nuclear accident. Pakistan is the only country of Muslim world that has nuclear capability and according to Western Defense analysts Pakistan’s nuclear technology and is much better and cost effective than other nuclear powers which has provided Pakistan a chance to increase its nuclear capability in lesser time. Currently Pakistan has 3 working nuclear power plants while Chashma power plant 2 and 3 are under construction. Construction of two more power plants has been started in Karachi. It is evident that not only Pakistan is well aware of nuclear power for defense purposes but also well aware of demands for security of nuclear power plants installed for production of electricity and well experienced as well. In fact Pakistan’s defense is not possible without strong economy in future and economy needs energy which should be cheaper as well. That is why while trying to fulfill energy demands through Petroleum and Gas Pakistan has already been left much far behind in the race of economic development.